London, 20th July 2009. The wife and cousin of detained Tibetan filmmaker Dhondup Wangchen have expressed serious concern for his health and treatment in prison and called on the international community for help. 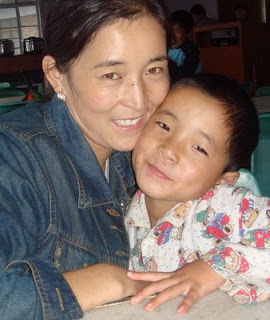 According to recent information, Wangchen suffers from Hepatitis B and receives no medical treatment in detention. 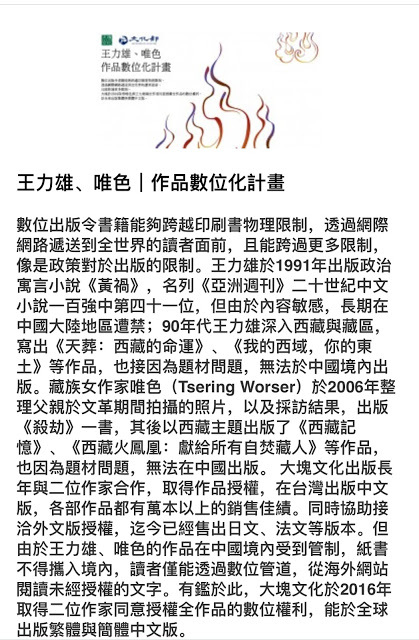 Wangchens family appointed lawyer in Beijing, under government pressure, has been forced to drop the case. "Before hearing this latest news, I hadnt had any news about Dhondup Wangchen for over a year", said Lhamo Tso, Wangchens wife living in exile in Dharamsala, north India. "Ive always known him to be a healthy and active person, I cannot imagine what terrible torture he has gone through in Chinese custody. Knowing that he is receiving no treatment for Hepatitis B makes me fear for his life, I dare not tell our four children here about his condition", Lhamo Tso continued. 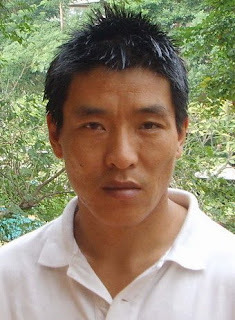 Wangchen, 35, has been in detention since March 26, 2008, for filming interviews with ordinary Tibetans on their views on the Olympic Games, the Dalai Lama and Chinese government policies in Tibet. The interviews were made into a documentary film Leaving Fear Behind and first shown to journalists in Beijing two days before the start of the Olympics in August 2008. "Dhondup Wangchen has committed no crime and should not be in prison at all", said Gyaljong Tsetrin, Wangchens cousin based in Zurich, Switzerland." Documenting the views of ordinary people is a basic human right and freedom of expression is guaranteed in Chinese law. The Chinese government has shown no regard for rule of law and has even barred an independent lawyer from taking up this case. Therefore I call upon human rights organisations and supporters all over the world to urge their government representatives in Beijing to pressure the Chinese government to unconditionally release Dhondup Wangchen." 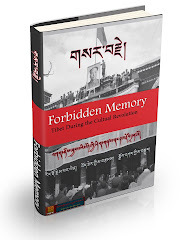 To date, Leaving Fear Behind has been shown in over 30 countries worldwide and further translated into many foreign languages including French, Spanish, German, Polish, Hungarian, Japanese and Chinese. International organisations who have so far expressed concern about Wangchen include Human Rights Watch, Reporters Without Borders and Amnesty International.